12.5" RCOS @ ~ f/9 (2880 mm fl) at 0.64 arcsec/pixel. Shown at 1.36 and 3.26 arcsec/pixel. PixInsight to register, normalize, data reject, combine the luminance sub exposures, gradient removal, non-linear stretching with HistogramTransformation, detail enhancement with HDRMultiscaleTransform and create the LRGB image. The nebula is shown rotated 25° clockwise. 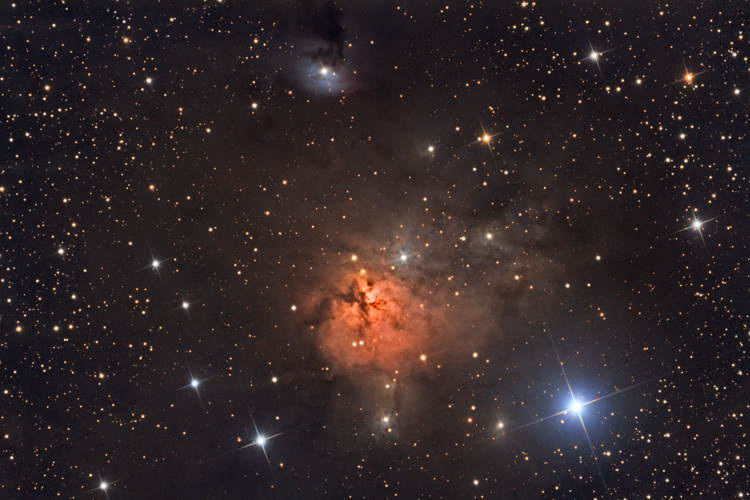 NGC 1579 is located in the constellation Perseus at a distance of about 2100 light years. It is also mistakenly included in the Sharpless emission nebula catalog as Sh2-222. The nebula resembles the better-known Trifid nebula. 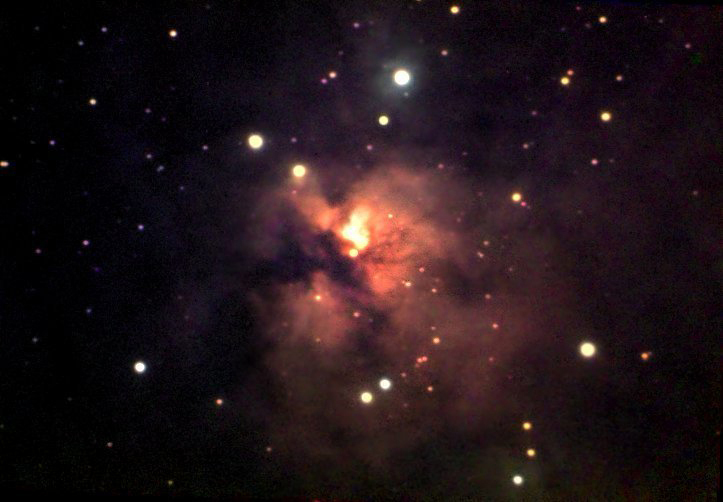 Unlike the Trifid, NGC 1579 is a diffuse nebula and does not get its red color from glowing hydrogen gas. Dust drastically diminishes, reddens and scatters the light from a young nearby star. Also seen in the area are blue reflection nebulae.